If you are in the party and event rental business, you probably rent linens. Linens are a huge investment due to the the quantities, sizes, colors and shapes required to fit a variety of tables and various party needs. It can be one of the most costly investments for your rental business, and it’s also one of the easiest rental items to become damaged or worn out. If you’re like many other rental businesses, you might have a stock pile of damaged linens and have no idea what to do with them. Here are some creative ways to re-use or deal with these items and put your investment to good use. Tablecloths often become damaged in the middle section directly on top of the table. If the bottom portion of the linen is fine, you can keep these linens and use them for for things like a buffet table, chocolate fountain, or any other table that might be extra messy or will at least be covered in the center. You can also cover the top with an overlay or a table runner and no one will know the bottom cloth had anything wrong with it. Be sure to sort these linens separately and mark them accordingly so they don’t get mixed in with your good linens. You can mark this as an internal attribute in Goodshuffle Pro so that clients will never know they're damaged, but your team can be sure to track these as a special use case. 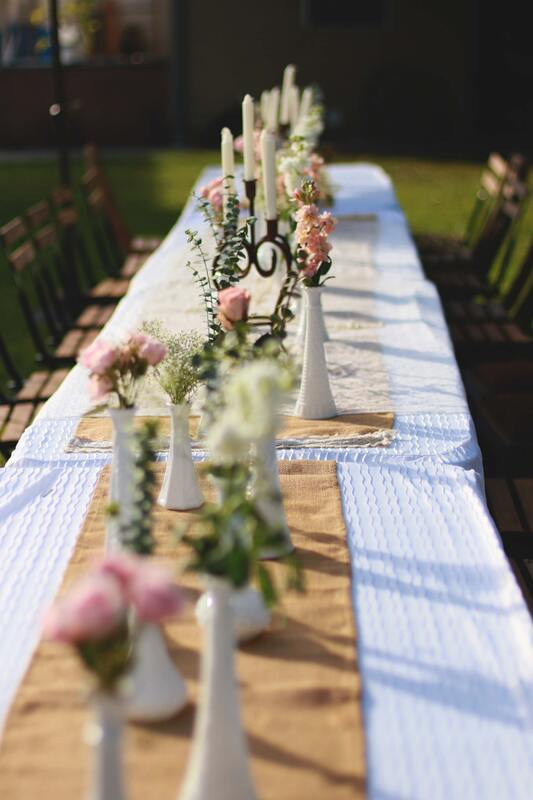 Don’t rent out these linens; use them only for events you will setup yourself so you can cover the damaged part. If they are heavily damaged and not useable for client-facing events, there are plenty of other areas in your warehouse to use these. Large tablecloths make excellent dust covers for large furniture and equipment rentals. They can also be used for wrapping and providing padding to breakable party rentals. Stretch chair covers work great for sliding over risers and pedestals, or covering chairs you don’t want damaged. Damaged napkins work great in between glass plates or mirror bases for extra protection. Linens can be cut into rags, used as drop sheets, or other creative uses around your facility. A large tablecloth can be cut down and repurposed into a smaller tablecloth, sash, runner or napkin. You will get quite a few napkins out of a floor length tablecloth. If you have an in-house sewing department, always look at repairing the item first. You should also always follow linen care guides when laundering linens to prevent staining. Check out this blog from foldingchairsandtables.com for some handy tips on how to maintain your linens. 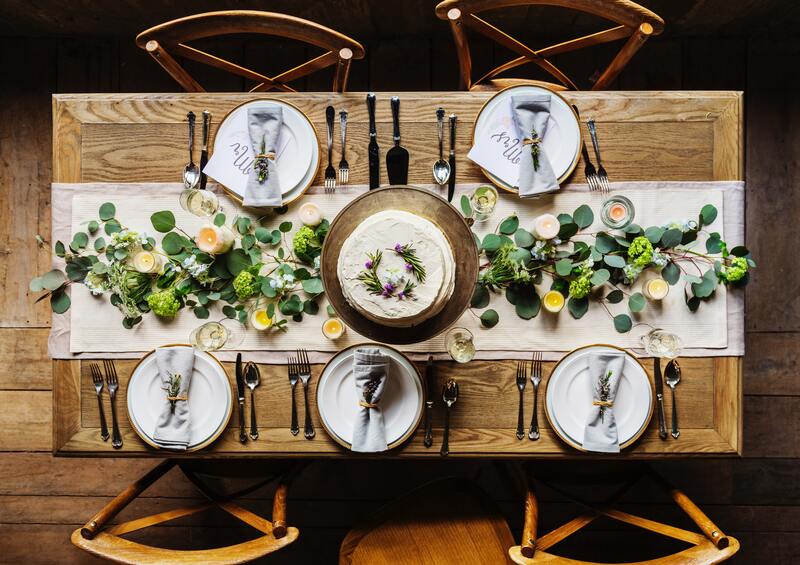 If it can’t be repaired, or stains do not come out, have them made into smaller rental linens and put your investment right back on the shelf. If you don’t have an in-house sewing department, price out what it would cost to have someone cut and sew them. 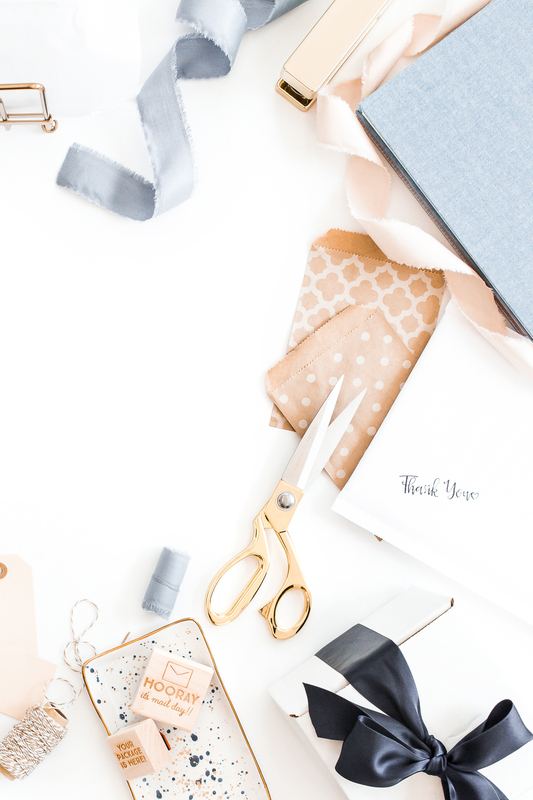 If it’s more then buying new pieces, consider some DIY crafting. Bunting and banners, fabric signs and other boho rustic decor can easily be made with little crafting knowledge. Check out some YouTube videos and see what could be made with the scrap pieces of fabric from your damaged linens. You can put these new pieces into your rental inventory and no one will know they were from damaged goods. If none of these options seem feasible, then your linen may be beyond the point of having a purpose in your inventory. There is nothing worse than having damaged inventory taking up precious space in your warehouse. There are several options you could use to get rid of them. Consider having an annual inventory sale. Clear out not only your damaged linens, but other rentals items that you just aren’t using. Advertise on wedding buy and sell pages, crafting pages and your social sites. Let other rental businesses in the area know you will be selling off some inventory. Other rental companies may want to purchase your items. Brides and grooms on a budget may have no issue purchasing a damaged tablecloth at a reduced price. After the sale, whatever is left can be donated or thrown out. Charities and Non-profit companies may take some of the damaged linens for their bake sales and other needs. Schools and other facilities may also have a use for these items. When all creative uses have been exhausted, and you still have no use for them, it’s time to part ways and throw them out. Megan is the owner of Linen Lust, a boutique linen rental and decor company based in Barrie, Ontario Canada. With a small obsession with table linens, she can often be found browsing for new items to add to her ever growing rental collection. Make managing your inventory damages easy. Use Goodshuffle Pro to track absolutely everything in your event rental business. Next PostWhy Subscription-Based Event Rental Management Software? Megan is the owner of Linen Lust, a boutique linen rental and decor company based in Barrie, Ontario. Obsessed with coffee, table linens, her dog Worf, and most importantly ice cream.